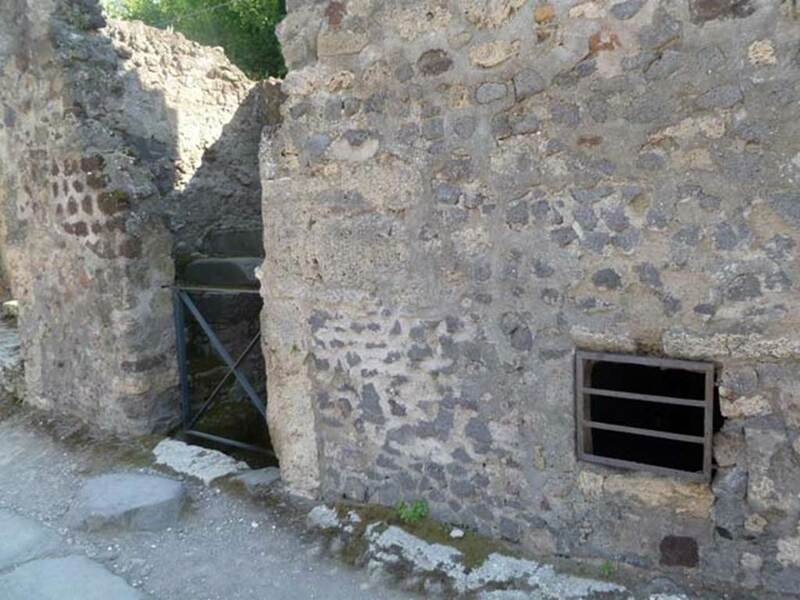 VI.17.12 Pompeii. Staircase to upper and lower floors. Linked to VI.17.13 and VI.17.14. Excavated from 1763. 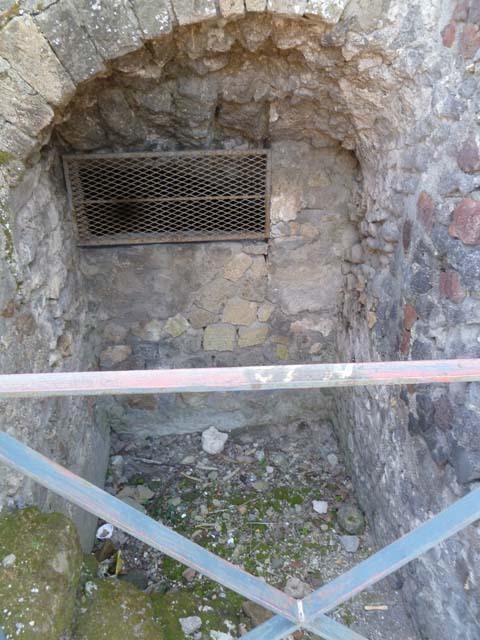 VI.17.12 Pompeii. May 2011. Looking south-west towards doorway to steps. 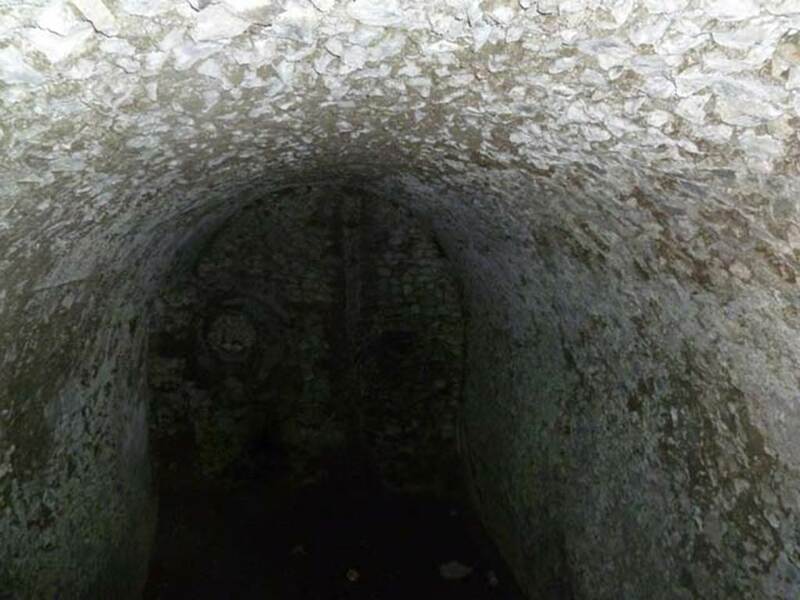 On the right can be seen an opening giving a view of the cellar, on a lower level. VI.17.12 Pompeii. May 2011. 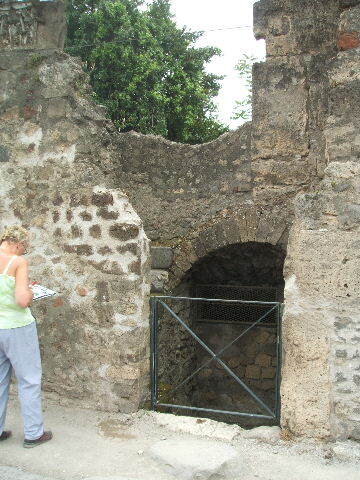 Looking west into cellar on north side of steps at VI.17.12. VI.17.12 Pompeii. May 2005. 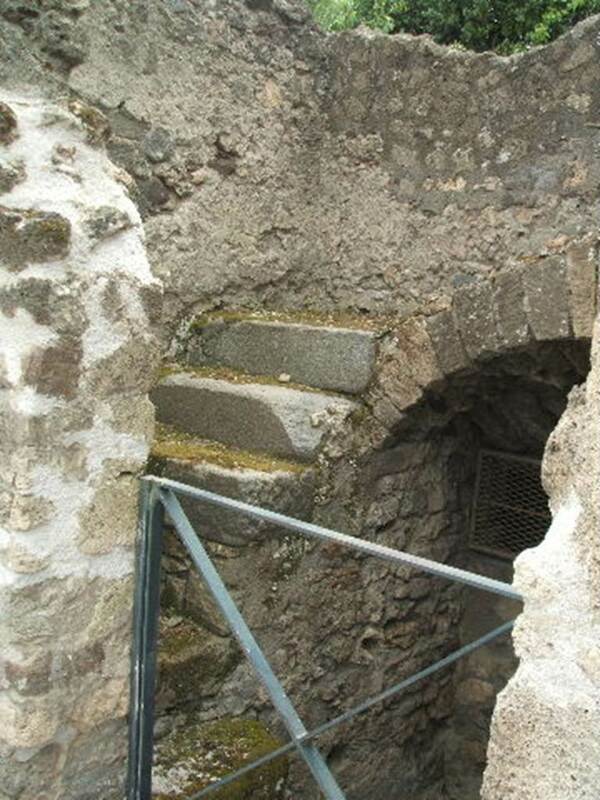 Staircase to lower floors underground. VI.17.12 Pompeii. May 2011. 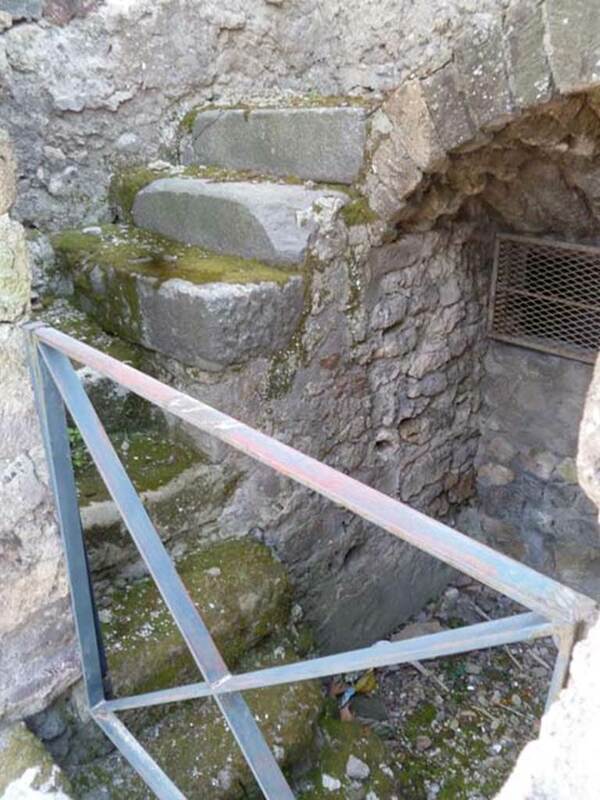 Steps to lower floors underground. 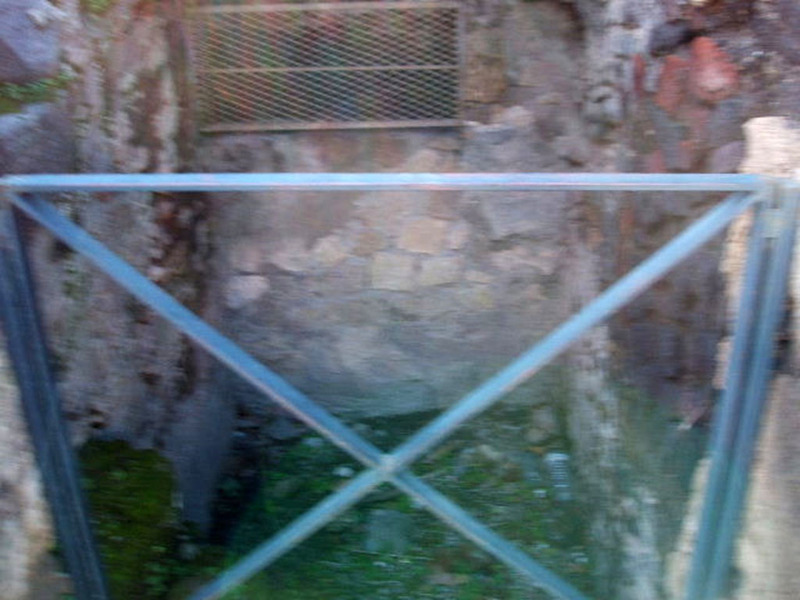 VI.17.12 Pompeii. December 2004. Staircase to lower floors underground. VI.17.12 Pompeii. May 2011. Steps to upper floor. Photo courtesy of Michael Binns. 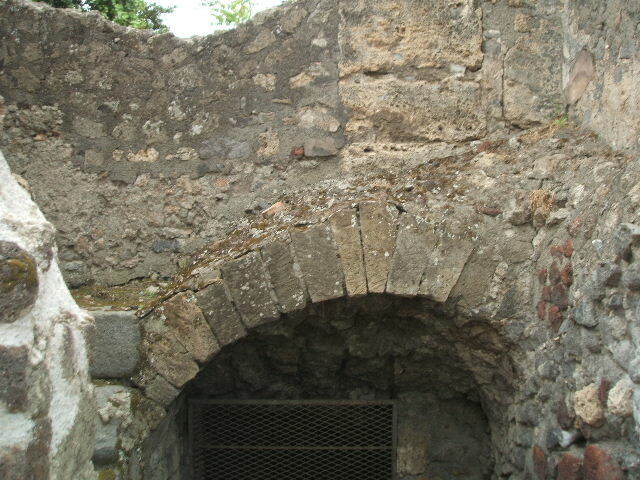 VI.17.12 Pompeii. May 2005. Staircase to upper floors.